I'm finally coming out of the closet- my sparse, Goodwill-sourced closet- and admitting that, in 2017, I managed to go an entire year without buying a single piece of brand new, off-the-rack clothing. I've kept this challenge of mine a secret until now because, quite frankly, I didn't think I could do it. Like most women, I used to go shopping for entertainment. On the weekends, on days off, on my birthday, around the holidays, I shopped. I went to the mall. I went to Target. When I hung out with my friends, this is what we did. That's just what girls do, right? We were rarely- if ever- searching for anything in particular. Shopping is pretty mindless like that these days. Instead of, I need to find a basic black skirt, it was always, I need nothing, but isn't this flowy peasant blouse gorgeous? Look at these adorable boots! What a cute dress! Hey, this grey sweater is marked down to only $6.99! The Target clearance racks were my downfall. I don't need this grey sweater at all, but it's kinda cute and it's 50% off. Never mind that it would be 100% off if I didn't buy it. Never mind that I already have four other grey sweaters hanging in my closet, one of which still has the tag attached and has never been worn. Never mind that there's a reason this sweater is $6.99. It's cheaply made, probably wouldn't fit well, and would be falling apart by next winter. Never mind the unfairly treated garment workers who slaved in who-knows-what kind of conditions so that this sweater could cost a mere $6.99. Just a couple of years ago, I never thought about any of this. I just bought things because they were in fashion, and usually because they were on sale and extremely cheap. But after trying the Kon Mari method on my closet last year, the blinders fell off, and I realized my ignorant consumption for what it was. Sickening. Wasteful. Irresponsible. Unethical. Every piece of clothing I owned, strewn out for evaluation via Kon Mari, 2016. ...when I saw the ridiculous amount of clothing I owned, when I saw it all piled up together, I honestly felt sick. You might say I even felt convicted. I complain about how "poor" I am, how money is always tight, how we're on a strict budget, yet I have such tremendous excess. I wanted to get rid of stuff immediately just because of that. How many of those pieces were purchased on a whim? How much money did I spend buying something just because I wanted to feel better, just to feel that little thrill that comes with swiping the plastic? And on that note, how much debt did these things rack up? This has made me completely rethink shopping. ...I hope I remember what it felt like to dig through this pile. I hope that, when I walk into a store, I won't let a big red clearance sign lure me into buying something I don't even want. I did remember. 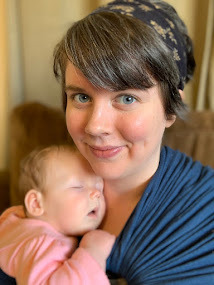 I pared down my wardrobe, I stopped mindlessly scavenging clearance racks, and I started mending the things I owned and making them work for me. Then, I watched two documentaries on Netflix that moved me deeply: Minimalism: A Documentary about the Important Things and The True Cost . I've talked about The Minimalists and their books, film, and podcast on here frequently, but I haven't shared much about The True Cost. It's a documentary about the people who make clothes for the world. The underpaid, downright abused sweatshop workers all over the globe who make the inexpensive pieces of clothing found in our favorite stores. The film pulls back the curtain on the fashion industry, discussing the atrocious fast-fashion world that now consists of 52 seasons. Not so long ago, there were two fashion seasons: spring/summer and fall/winter. Now, the fashion industry has 52 "micro-seasons", which means they unveil new trends weekly. This ensures that everyone is constantly falling out of fashion, which means that everyone has to buy new clothing every single week, continually, to stay current. Don't believe it? Watch the mannequins and the window displays in the trendiest stores, like Forever 21 and H&M. Both places I used to love, by the way. They update constantly; what was cool last week is gone the next. Wanna know what happens with last week's unsold and now-uncool merchandise? It's appalling. Maybe you should just watch The True Cost. Anyway, the fast-fashion industry is the epitome of wastefulness and greed. Nobody should be buying new clothes weekly. It's absurd. And really, nobody should be able to afford to do that. Forget the bargain-hunting, on-a-budget mode most of us are in and think about this for a moment. Brand-new sweaters shouldn't retail for $12. An interesting article from The Atlantic discusses how in 1900, people spent about 14% of their income on clothing, yet they only owned a couple of pieces. These pieces were made well, they were mended and taken care of by their owners, and they lasted for years. Nowadays, we spend a mere 4% of our income on apparel, yet we have so much clothing that we need multiple walk-in closets, dressers, chests of drawers, and even seasonal totes and under-bed bags and bins to store it all. These cheap clothes wear out and fall apart in no time, so we toss them and buy cheap replacements. When our clothes are no longer fashionable, we donate to Goodwill and buy something new and current. What happened? Why are clothes today so cheap, so flimsy, so replaceable? Go to a craft store and peruse the fabric. Price the materials, thread, buttons, and zippers. Consider the level of skill required and the amount of time it would take you to sew an article of clothing yourself. Imagine what a reasonable hourly rate of pay would be for this project, were you to be compensated for it. Now. With all of this in mind, go to the clothing section in Walmart and look at their prices. There is absolutely no way a pair of jeans should cost $15. And how could a shirt possibly cost $7? In reality, they don't. That's what The True Cost is all about. You have to look past the dollar amount on a tag and consider the hidden cost that we don't have to pay. The true cost is billed to the people making these items in sweatshops, to the environment, and to the future generations who will be stuck sorting through our mess. 1. I can stop buying cheap clothing from the businesses who are fueling this epidemic. No more Walmart yoga pants, no more Target sweaters. No more trendy tops from places like Old Navy, H&M, or Forever 21 (the latter of whom even prints Bible verses on their plastic shopping bags; so bothersome to me, considering the social injustice here, but that's another rant for another day). These days, if I walk by the clothing section at Target and find myself being drawn to a cute blouse hanging on the rack, I hesitate, wondering whose hands assembled this piece of clothing, what her life is like. I wonder how long it took her to make this $10 shirt, and how much she got paid for it. I wonder what the factory she works in is like, what kind of health and safety concerns she deals with daily. I've heard people joke about sweatshops, but there's nothing funny about them. Someone, a person, made the clothes you're wearing right now, and you should think twice about how your purchases affect them. Since our politicians don't seem to care too much about this issue, you can think of your money as a vote. When you cast a vote for someone, you're supporting them, you're furthering their cause. When you give your money to clothiers like Walmart or Target or Forever 21, you're "voting" for the kind of fashion world you want; you're fueling the problem. Likewise, when you make the decision to withhold your money from these places, you're making a difference, no matter how small, and showing the world that there are better ways to trade apparel. 2. I can seek out companies with commitments to Fair Trade and sustainable practices and buy solely from them. If I need something new, I can research and buy from one of these retailers. Yes, their prices are, by contrast, quite expensive. But consider the data from 1900, when 14% of income went to very few pieces of clothing: clothes are supposed to be expensive. Well-made, high-quality clothing, created by the hands of people who are being paid fairly for their craftsmanship, is expensive. Think quality over quantity. Stop asking why these clothes are so expensive and start asking why most retail clothing is so cheap. And again, you vote with your money. Use your resources to fund worthy businesses who are actively making positive changes in the clothing industry. 3. I can save money and reuse other people's discards by buying secondhand. Concerned about the impact that the fast-fashion industry is having on the environment with its weekly discards? On a budget and unwilling to pay $90 for a Patagonia jacket? Go to Goodwill, Plato's Closet, Style Encore, any old thrift store or consignment shop. These places don't always have the best interests in mind and are typically still in it to make a buck, but at least buying used clothing donated by some individual or some company reuses something that would otherwise end up shipped off around the world for someone else's profit and eventually in a landfill. 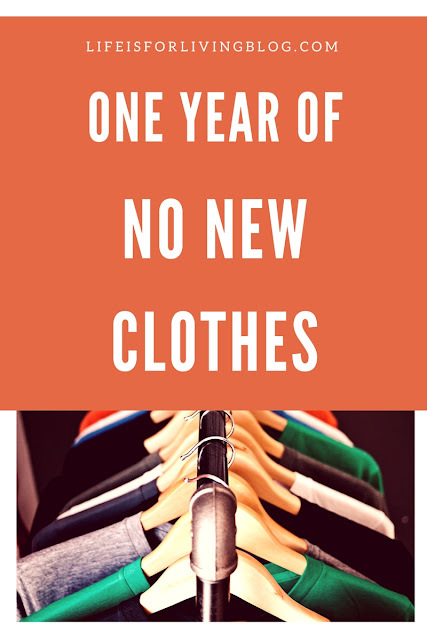 With these ideas in mind, from January 2017 to December 2017, I bought no new off-the-rack clothing. - 1 pair of "work jeans" to wear while doing yard work and remodeling our house, $8, The Unclaimed Baggage Center in Scottsboro, Alabama. - 1 Eddie Bauer winter coat (I had none), $15, The Unclaimed Baggage Center in Scottsboro, Alabama. 1. I gained over 20 pounds this year and nothing fit anymore. UGH. I hate to admit this here, but yeah. I put on a lot of extra weight this year, especially over the summer, when I was working two jobs, feeling very stressed and anxious about money, and getting free pizza and soda at Mellow Mushroom during my server shifts there. Anyway, I had to pull out some old "fat clothes" to keep from buying new things. Also, even more ashamedly, I admit that I started wearing my husband's old "skinny clothes" just to have something to wear. I really struggled to work with what we already had, rather than going out to buy new clothes to fit my new obese body. If I worked in any other field besides nursing (where I can get away with baggy scrubs everyday), I would have had to purchase more clothing this year. 2. I almost got caught up in the fall fashion season. Brown lace-up boots, flannel shirts, cozy scarves...they get me every time. I threw out my all-time favorite pair of boots during the #MinsGame, so when September rolled around, I thought I had to get some new fall boots. Some days, new boots felt like a necessity. Other days, they seemed frivolous. I really don't go anywhere except work these days, so my stinky, worn-in Asics are all I really need. I stood strong. I bought no fall or winter clothing except for that secondhand Eddie Bauer coat that I desperately needed. Those were my basic guidelines for the past year. Doing those things alone will cause you to re-evaluate your shopping habits. I must admit, this has been a very frumpy, unfashionable twelve months for me. My weight gain has been the primary contributor to that feeling, of course. But for someone who has spent so many years shopping for fun, swiping credit cards, and buying new clothes (however cheap and marked-down they might be) in an attempt to stay current and look "cute", making the leftovers of my Kon Mari'ed, #MinsGame closet work for a year, while only adding in a couple of extremely inexpensive thrift store pieces has been a bit of a frump-fest. I've worn the same t-shirt I got for $9.99 at Kohl's last November over and over until the seams are splitting, the fabric is pilling, and it's looking ragged. I've only had the darn shirt for a year. I'm really seeing firsthand that a decent wardrobe must be built of quality items that are made to last. Otherwise, you'll be constantly replacing your cheap clothes like the companies want you to. I'm not sure where to go with this for 2018. Currently, my body is larger than it's been in a while, and I have about three articles of clothing that properly cover it. My favorite yoga pants (Walmart specials of yesteryear) are holey and haggard and in need of replacing. Most of my favorite tops are in the same desperate condition. As a newly reformed minimalist, I'm working to create a sort of capsule wardrobe as I phase out my ratty current pieces. I'm still following Dave Ramsey and on Baby Step #2, so I'm on a slim budget with no room for Patagonia-type prices at the moment. Instead of traipsing back to Target and the like, I plan to keep myself a cash sinking fund for clothing when I truly need it, and to take this cash to secondhand stores. My shopping is now intentional. I don't really like to go to Goodwill just to "see what I can find." That often leads to unnecessary and unbudgeted spending and, almost always, buyer's remorse. Now, I go to Goodwill in search of a specific item to fill a gap in my wardrobe. What are your thoughts? How will your purchases change in 2018? Share your comments, tips, and suggestions in the comments. I found this post so interesting for so many reasons! Thank you for sharing your story. I actually want to try and go this year without purchasing brand new for me or my family...should be a challenge! This is so interesting and so well thought out! I've been focusing a lot of my attention on capsule wardrobes...but I've ever seen a challenge like this before! Props to you! I would first like to say that I wish the article had more facts about the sweatshops and further information references. I kept waiting to learn more. I did like this idea and article as I was in the mind frame of making New Years resolutions that were practical and would help me make wise financial decisions. 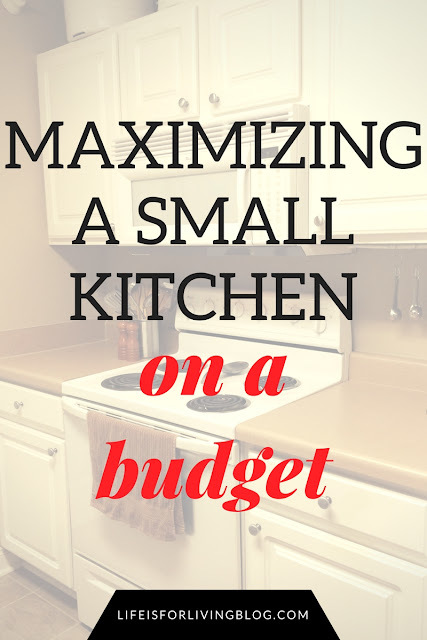 I was already in the mind frame of minimalizing unnecessary shopping, recycling and saving money. I felt shame for my purchases this year several of which haven't been worn bit a couple times. I also never thought about my involvement in the suffering of others by being poor and shopping at Wal-Mart and clearance racks at other stores mentioned in this article. I have always prided myself in making the most out of my money when shopping using cupons and clearance items and shopping second hand ECT. Now I will keep this in the back of my mind when I find myself shopping just to shop. I also hope to do more research on this subject including where to find clothing that was well made and will hold up for years of wear, and that also wasn't done in a sweat shop or other harmful businesses.